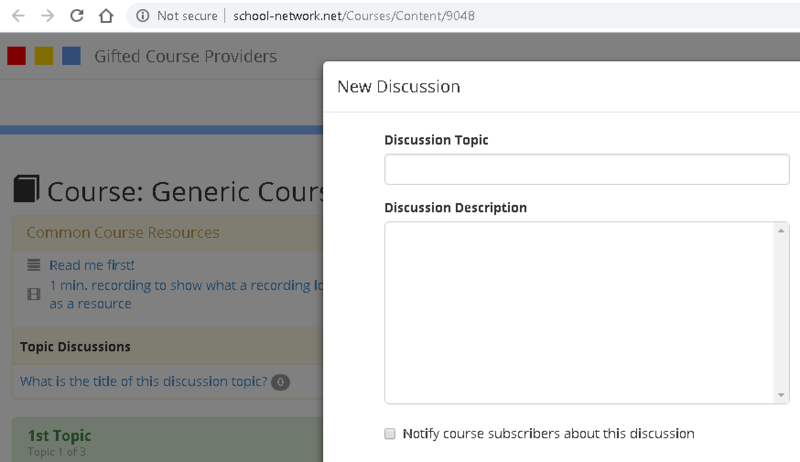 You receive this message because a new resource has been added to a course you are enrolled in. To review this new resource, please log into your Electa LMS account. 2. 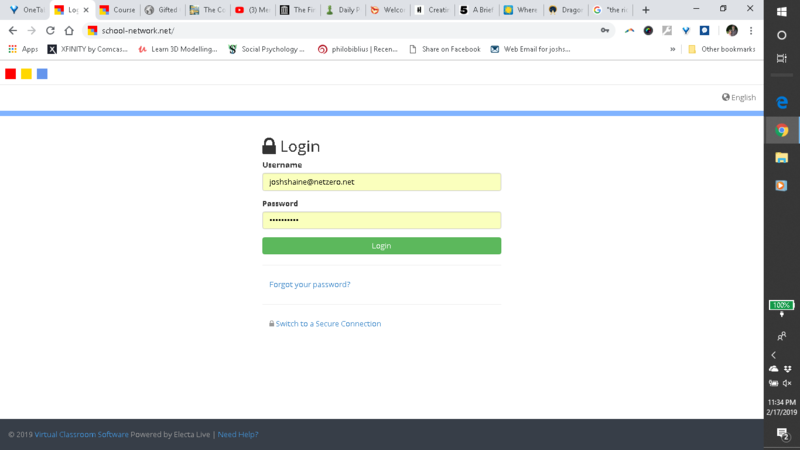 Enter your Username and Password, then click on the green Login button. 4. A drop down menu will open. 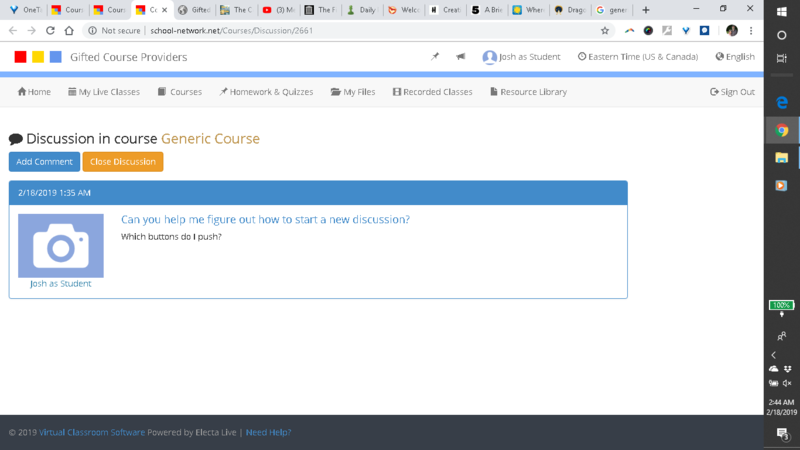 (see above) Click on My Courses. 5. You should see all of the Courses that exist for GHF classes you have signed up for. 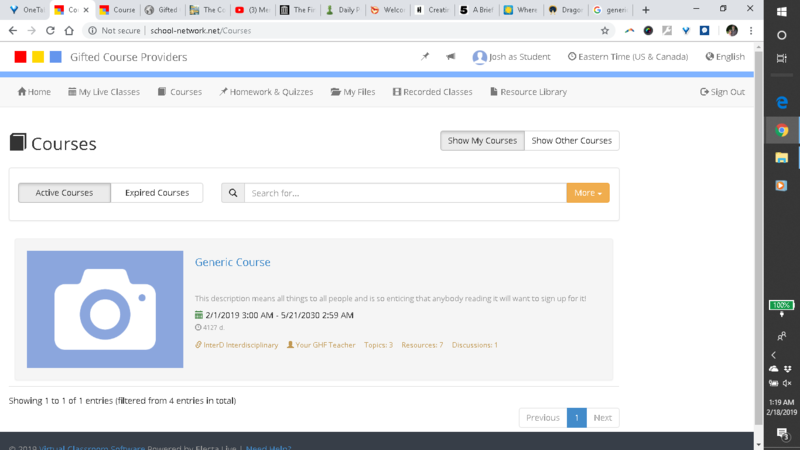 Click on the blue name of the Course you are looking for. 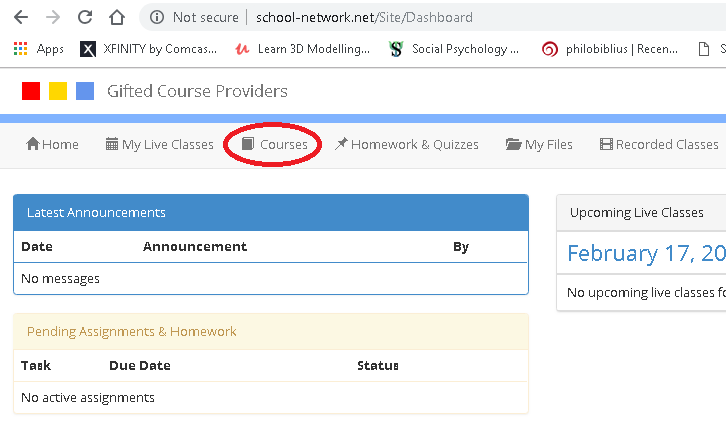 6.Click on the green Open Course button. 8. To the right side of the topic are 5 buttons. The left button takes one to the top topic (unless it is grayed out, as in this image). The button to its right takes one to the immediate prior topic. The center button shows all available topics at once. (See next image for that.) The button one right of center takes one to the next topc. The rightmost button takes one to the last topic. 9. 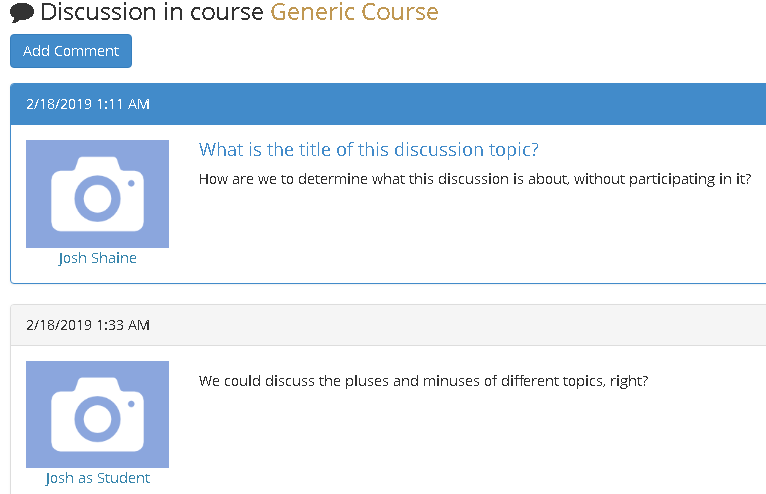 The "Common Course Resources" and each Topic have a Discussion area. There may already be a discussion started. There may not be. If there is, to read the discussion, click on the blue discussion topic. 10. To respond to the topic, click on the Add Comment button. 11. Click on theApply button when done with your comment. Click on Cancel if you have decided not to comment (at this time). 12. After you have posted your response, you have the options of changing your post, by clicking on the orange Modify button, or eliminating your post, by clicking on the red Remove button, both of which are to the bottom right of the new post. 13. 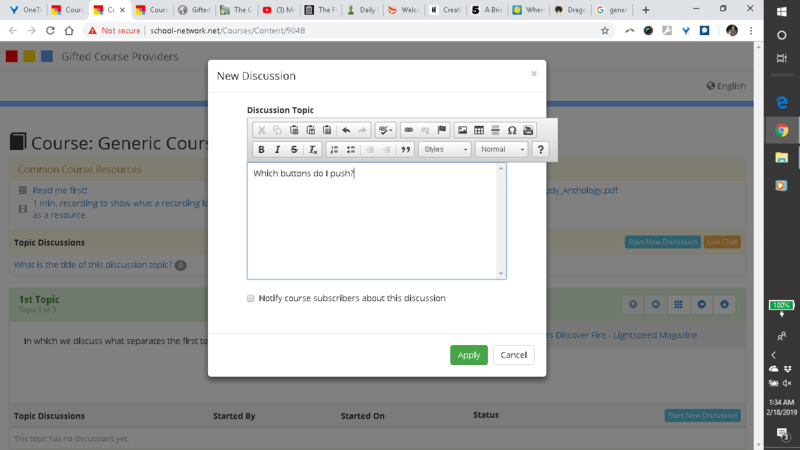 You also have the option of starting a new discussion, by clicking on the Start New Discussion button. 14. Click on the Apply button when ready to start the new discussion. Click on Cancel if you have decided not to initiate a discussion (at this time). (Image below is from "Apply." 15. 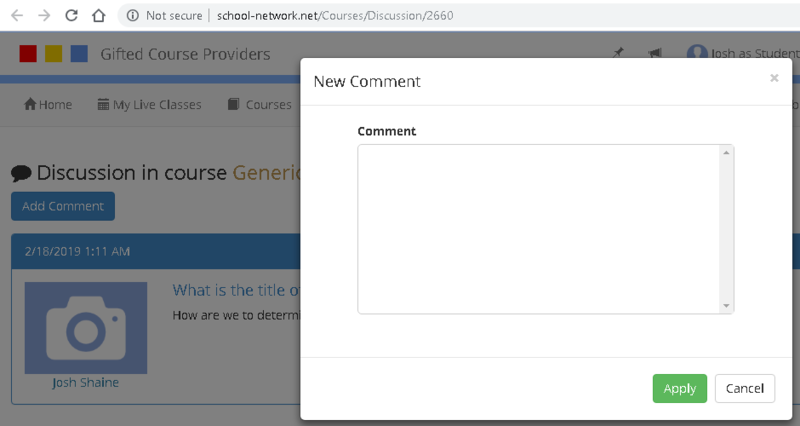 If you wish to receive no comments on your Discussion post, or no more comments, click on the Close Comments button. "Live Chat" will be covered in a separate post. Please send any questions about this page to <josh@giftedconferenceplanners.org>.